One of the best uses of outdoor lighting is for security purposes. Whether you are looking into lighting for your home or your business, your property has value that you want to protect. Plus, lighting can create safer conditions for people on the property as well. 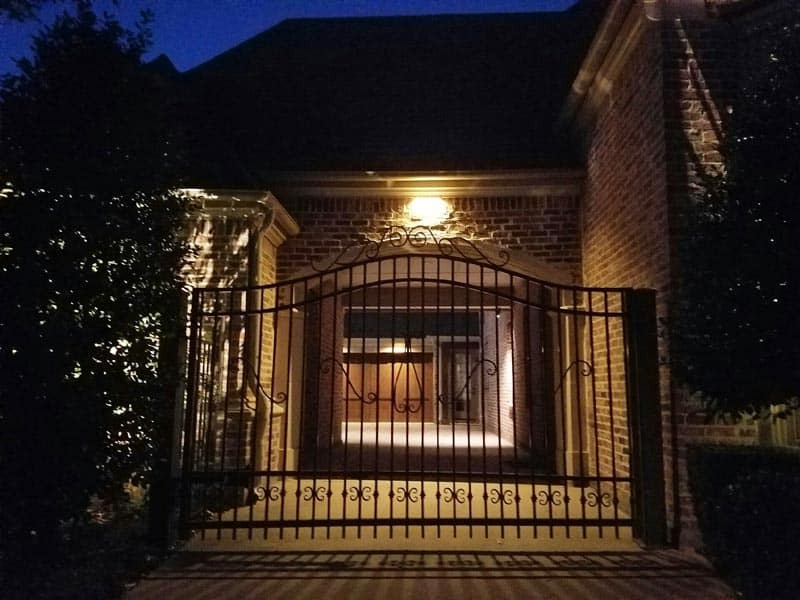 At Enhanced Outdoor Lighting & Design, we offer our professional security lighting services to residents and business owners in the Austin and San Antonio areas. Lighting can work together with other parts of your complete security measures, such as locks and cameras. That’s why police, security professionals, and insurance companies encourage adding light to properties for increased security. Light can act as a deterrent since a person won’t be able to hide, while also allowing you to have better visibility of your property. Lights can even help you distinguish whether your visitors are animals rather than people. While providing you with security, your outdoor lighting design can also improve the appearance of your home or business. You don’t have to create harsh visuals with strong spotlights on the property. 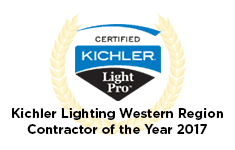 We can provide strategic lighting solutions that enhance your property while providing better safety. LED lights are prime as security lights. This is because they direct light beams a certain way to help you highlight specific areas. This is different from other bulbs that send light in all directions at once. With LED lighting, you can effectively shine light on doors, windows, and other parts of your home that you want to make visible. By using affordable LED security lights, we can also reduce the cost of security to make it more accessible to everyone. Plus, these lights are durable and able to handle a variety of outdoor conditions while providing strong light to direct onto your property. Lighting is a great way to improve the security of your home. You might not prefer extensive security systems at your home, or be able to fit them into your budget. Lighting provides an affordable solution to deter crime and make your home safer. We use high-quality LED lights that provide strong beams of light without using much energy, helping you have a cost-effective security solution at home. We will create a design that incorporates your security lights into your home design. We can create better visibility and highlight specific areas, such as entry points to the home and separate structures like a detached garage or shed. Plus, outdoor lighting will ensure that the house is bright and secure when every member of the family gets home during the evening and night or leaves during early morning hours. At the same time, we can enhance the look of your home and its curb-appeal through our security lighting solutions. This gives you a double benefit of having home security lights. With security lights, you can keep your property lit up all night long. This can deter crime that could happen during nighttime hours. Plus, if you hear a noise outside, you’ll be able to see what caused it by having your security lights on from dusk to dawn. It’s also possible to use timers on a lighting system. This could help you set your lights to turn on when you want them to, which is especially beneficial if you are away at nighttime events or out of town. When the lights turn on, it will seem like someone is home. Businesses can use lighting throughout the night to provide safer conditions for employees and patrons, and to deter crime after the close of business. Security lighting can help you make your property safer beyond deterring intruders. It does this by illuminating dark areas to prevent falls and other dangers. By lighting up steps, uneven ground, pool areas, and similar hazards, you can prevent your family members and visitors from hurting themselves. You can show them areas to stay away from while highlighting paths to stick to. These methods are also effective for businesses. You can ensure that your property is safer to prevent harming anyone and to cut down on the chance of being found at fault for unsafe conditions. You may even be able to save on the cost of property insurance by improving the safety of the grounds. At Enhanced Outdoor Lighting & Design, we are experts in lighting design. That means that we can set up outdoor lighting in the best way possible to make your San Antonio or Austin property safe and secure. We can also use our creative design expertise to enhance the visual appeal of the property in the process. In fact, any visually enhancing lighting design will automatically increase security by making the property more visible. To discover how our services can improve the safety and security of your home or business, contact us to set up a free consultation appointment.